These earrings never stop moving, not even for the photographer! 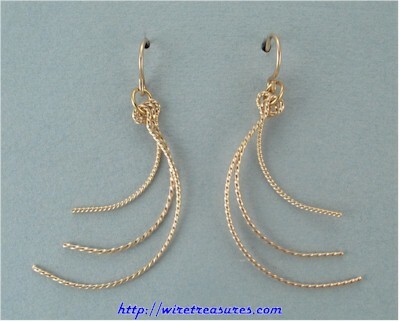 Twisted 14K Gold Filled wire curls will dance in the starlight or bright lights. You are visitor number 4,651 to this page.